Never having had pumpkin for anything other than pie, this was a fun experiment. I was pleasantly surprised at how delicate the pumpkin tasted. Why have we just been carving them all this time?! I will never look at them the same again. 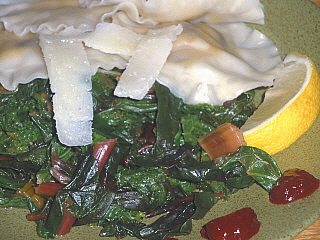 The first recipe made from the pumpkin-riffic filling is Pumpkin Ravioli (or, Tortellini). I should mention that if you choose to make tortellini and, are as slow as I am, you may want to start forming them several hours before your guests arrive! Oh, and no wine until they are done. They require concentration. 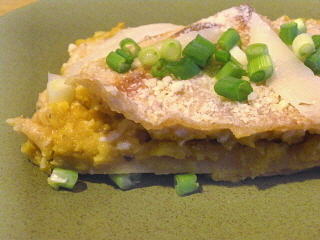 The second recipe, Pumpkin Lasagna was an attempt to use up the left over pumpkin filling. It turned into an awesome taste sensation. I hope it sweeps the nation! Let me know how you enjoy pumpkin prepared. I am curious to know what other treats I have been missing out on!